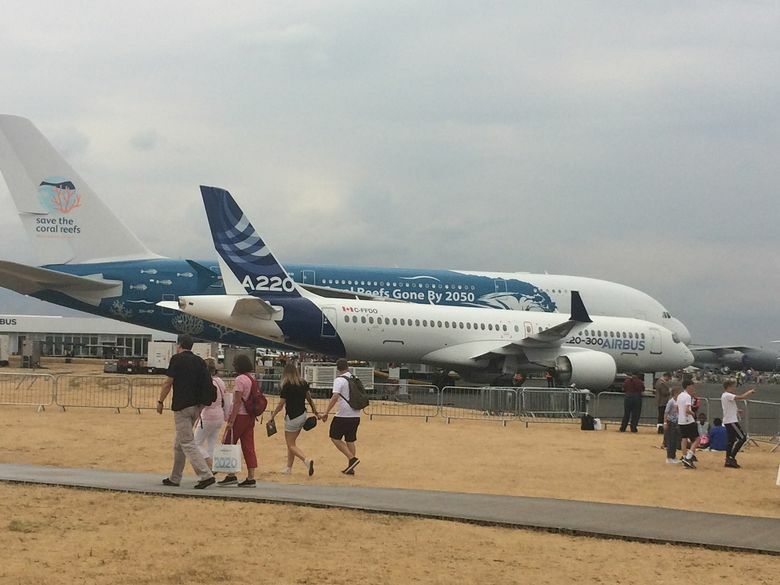 Before taking off, aerospace reporter Dominic Gates shares photos and insights from the Farnborough Air Show and the people he's met. 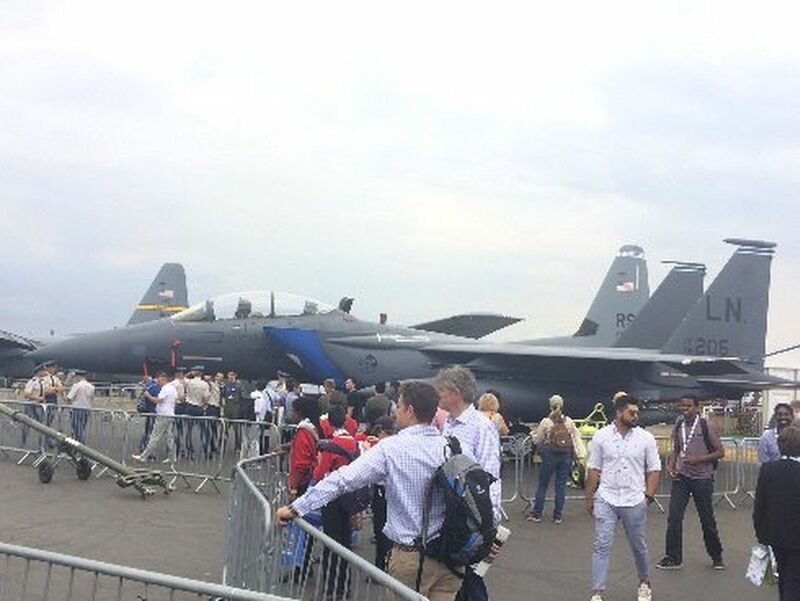 FARNBOROUGH, England — On Friday, the day the Farnborough Air Show opens to the public, I took a last look around. Here’s a flavor of my few hours there. As I approached I passed one of the gaggles of people who assemble each day outside the airport perimeter beyond the end of the runway to watch the planes, from hard-core plane-spotters loaded with camera gear to curious families who want to sample the big show without paying the $50 entrance fee. 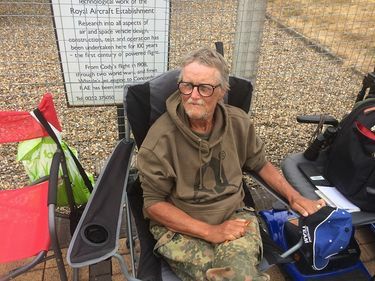 I stopped to talk with Graham Nash, 54, who lives in Farnborough and once was an airframe fitter with the Royal Aircraft Establishment. That was the aviation technology research and development arm of the British government. Nash sat in front of the old RAE building, where the first flight in Britain was completed 110 years ago. By Friday though, he says, the public is short-changed because all the best planes are gone. He’s right. All the big Boeing jets have left. The only airliner flying in the display Friday is the Airbus A350-1000. 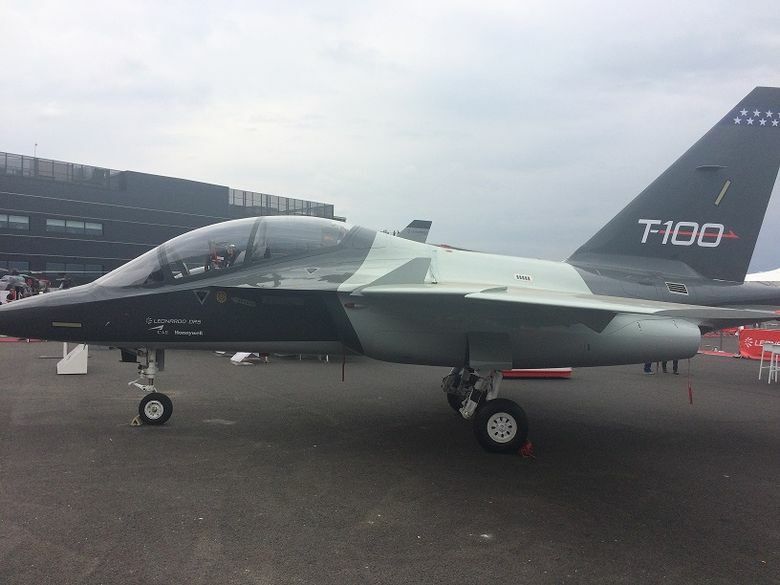 Here is the Leonardo T-100, a pilot trainer jet that is competing against the new design Boeing/Saab T-X and the Lockheed Martin/Korea Aerospace Industries T-50A to be the next trainer jet for the U.S. Air Force. Leonardo acquired U.S. defense contractor DRS Technologies in 2008, and if it wins the T-X competition, it will build a plant in Tuskegee, Alabama to assemble it. The Leonardo jet is already used as a trainer by the air forces of Italy, Israel, Poland, and Singapore. Moving on, I found some U.S. airmen from the 492nd squadron of the U.S. Air Force standing in front of a heavily armed Boeing F-15 fighter and chatting amiably with the public. Though everyone was taking photos, the military is strict about not letting service people talk to the press. So I cannot tell you the name of the very polite airman I spoke with. In his 30s, his squadron is one of three based in the U.K. at Lakenheath RAF base, which has been a U.S. base since the Second World War. He told me he’s an F-15 weapons system officer. So he sits behind the pilot in the two-seater jet. In air-to-ground combat, he talks to a controler on the ground and operates the GPS- and laser-guided bombs. He last saw action in Syria and Iraq. How was it there? Next, I wandered inside one of the four maze-like exhibit halls to find the Washington state stand. 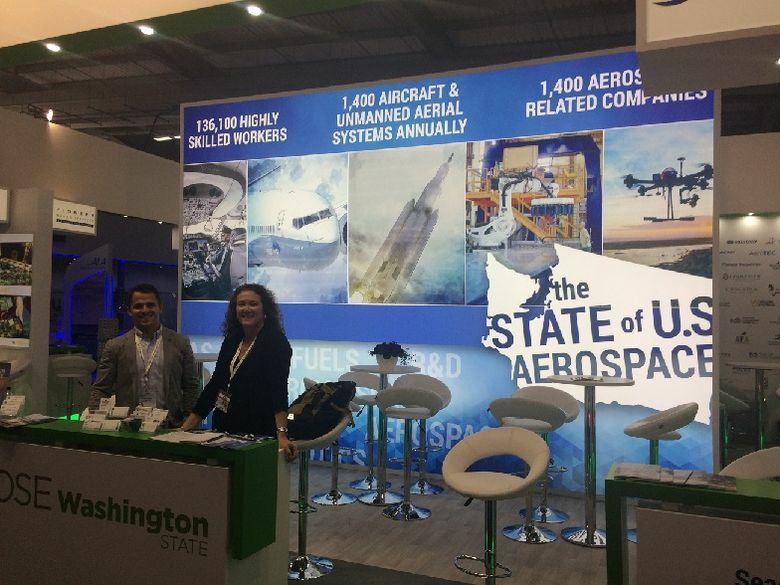 The theme, directed at aerospace companies, is “Choose Washington.” The stand sits in a hall full of competing stands, essentially asking companies to choose Puglia in Italy, or Cornwall in England, or … The list is endless and includes numerous U.S. states. Allison Clark, managing director of business development with the Washington state Department of Commerce, was staffing the booth with her aerospace specialist Conor Duggan. Their job: to cultivate contacts at aerospace companies who could potentially expand into Washington state. With lots of companies seeking a way to become a supplier to Boeing’s commercial jet programs, the state reps are kept busy with meetings. 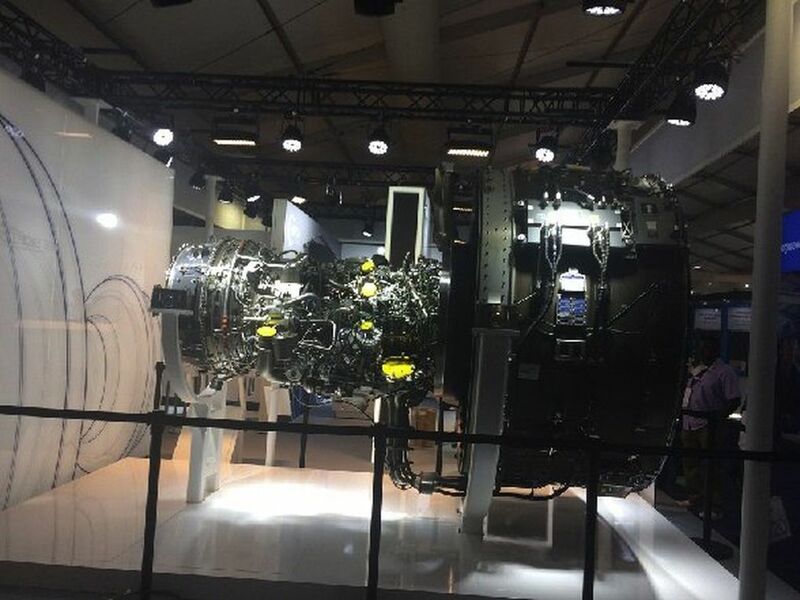 In another hall, I looked for jet engines, and came across a Pratt & Whitney Geared Turbofan, the engine type powering the Airbus 220 and one of the two engines on the A320neo family. The second photo is a closer look at the spaghetti-like tubing around the engine core. 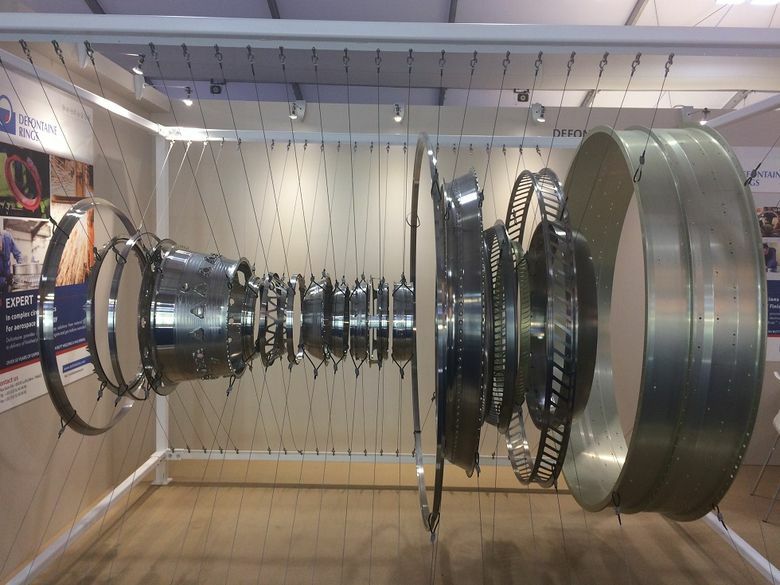 A French company called Defontaine that makes the metal rings that are part of the engine provides a cool display of its products: hanging the rings from wires to align them in space positioned as if inside an assembled engine. 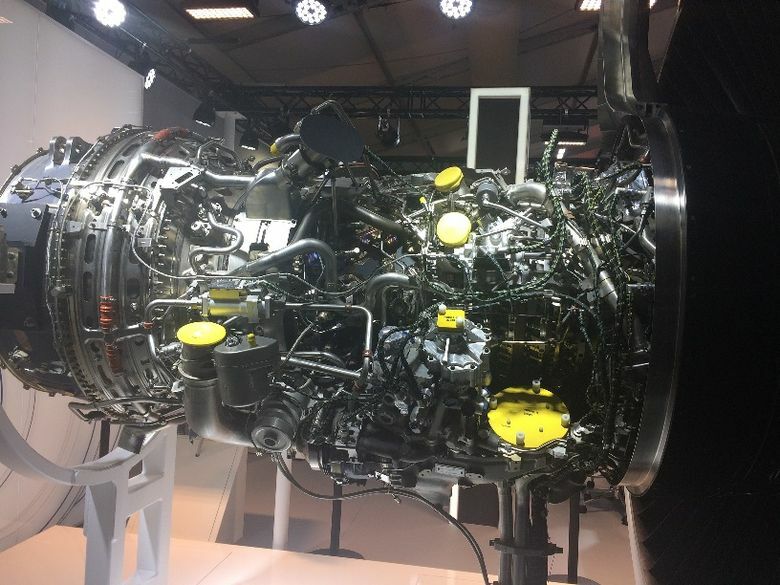 It’s like an exploded diagram of the engine with everything simplified to show only the rings. 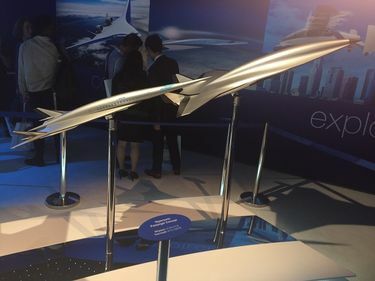 Next, I went to Boeing’s exhibit: The Future is Built Here. 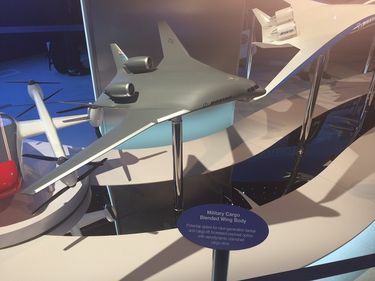 You enter a darkened, blue-lit room and are bombarded by a multimedia display with huge video screens, surround sound and models and still photos of Boeing technology. The center of the exhibit is a circular chamber with four entry points. 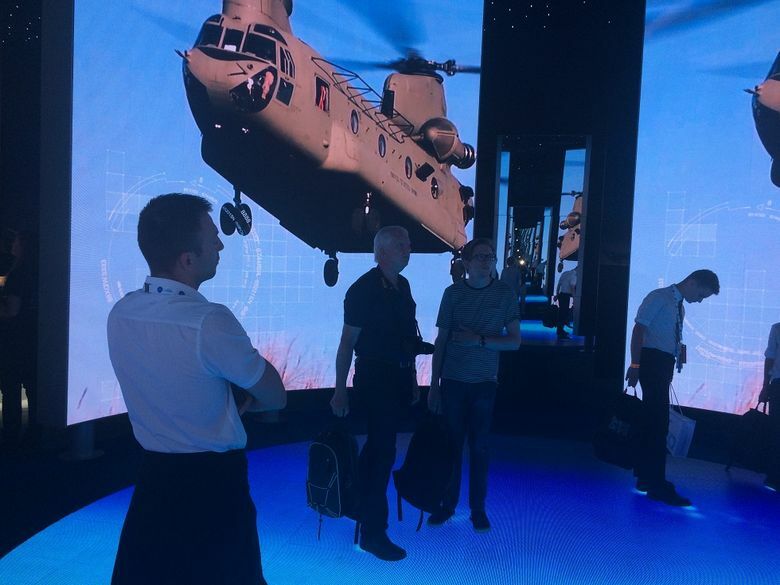 Between these, high walls show dynamic videos of Boeing’s commercial jets, military helicopters, space rockets and much else. Awesome. Finally, some photos I took earlier in the week. This was the first appearance of Eric Schulz at an Air Show as the new Airbus sales chief. Schulz, a Frenchman, grew up in France and Italy and holds Masters degrees in Mechanical Engineering and Aeronautical Engineering. But when I interviewed him, I learned that 15 years ago, he was in Everett! In 2003, Schulz was appointed president of Goodrich Aviation Technical Services, the aircraft maintenance, repair and overhaul outfit at Paine Field. He spent three years there and was on the board of United Way of Snohomish County. 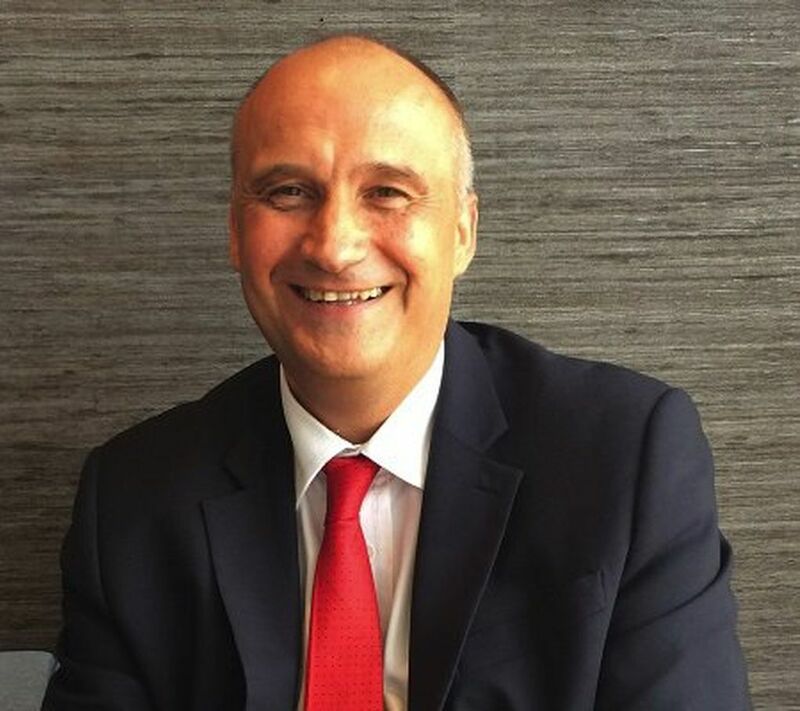 Schulz joined Airbus in January from Rolls-Royce, where he was president of civil aerospace. 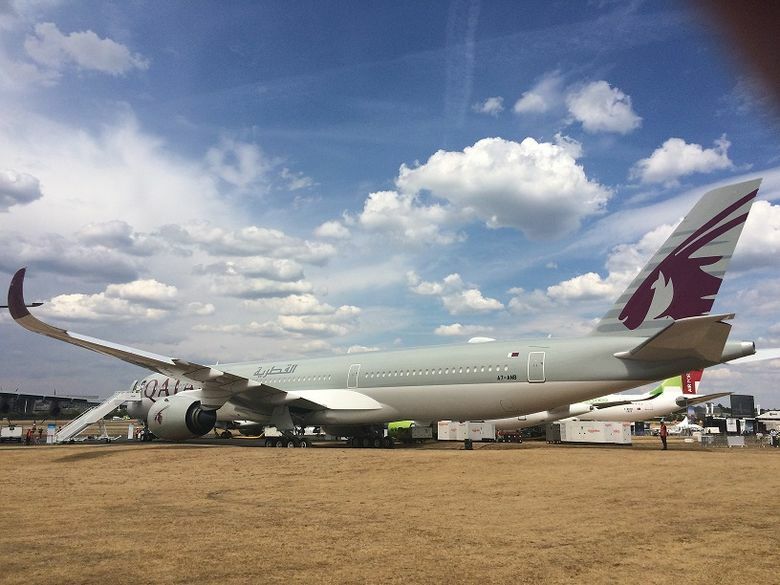 While Airbus brought its own A350-1000 to fly at the Air Show, this Qatar Airways A350-1000 was parked on the ground all week for tours of the cabin. It’s an impressive airplane, about the same size as the Boeing 777-300ER, which is the backbone of most large international long-haul fleets. The 777-300ERs flying today are such perfect machines they are unlikely to start retiring for another decade or so. When that day comes and airlines must replace them, the choice will be between this A350-1000 and Boeing’s forthcoming 777X. Parked nearby was the airplane pictured at the top of the page. This is a second-hand A380, originally operated by launch customer Singapore Airlines and just acquired by Portuguese lessor Hi Fly. Hi Fly has a fleet of large Airbus widebody jets which it “wet leases” to airlines that need additional capacity. This means it provides not just the aircraft, but also the complete flight crew and maintenance crew as well as insurance. The president of Hi Fly is Paulo Mirpuri, who also has a charitable foundation. 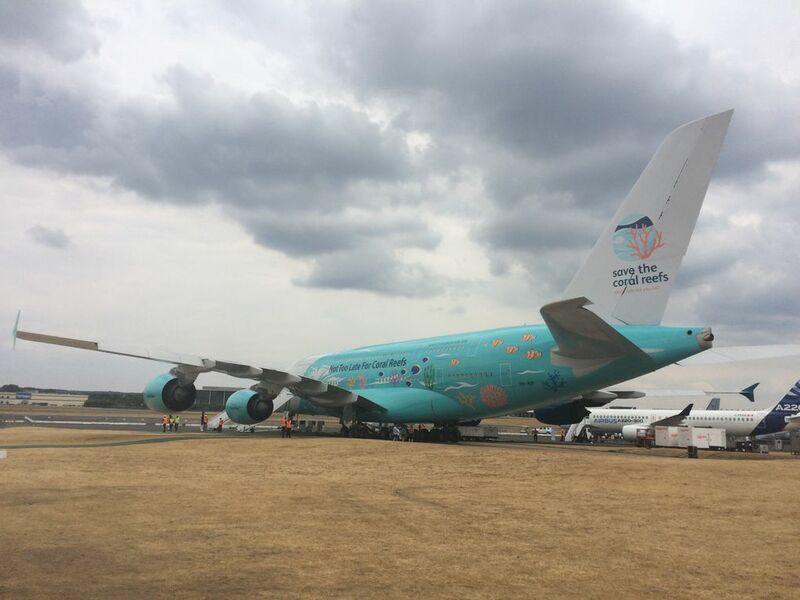 The A380 at Farnborough is painted in a “Save the Coral Reefs” livery to support a Mirpuri Foundation campaign. He faces plenty of skepticism that he can make a good business from renting out this enormous plane. To close, just look at that beautiful wingtip. 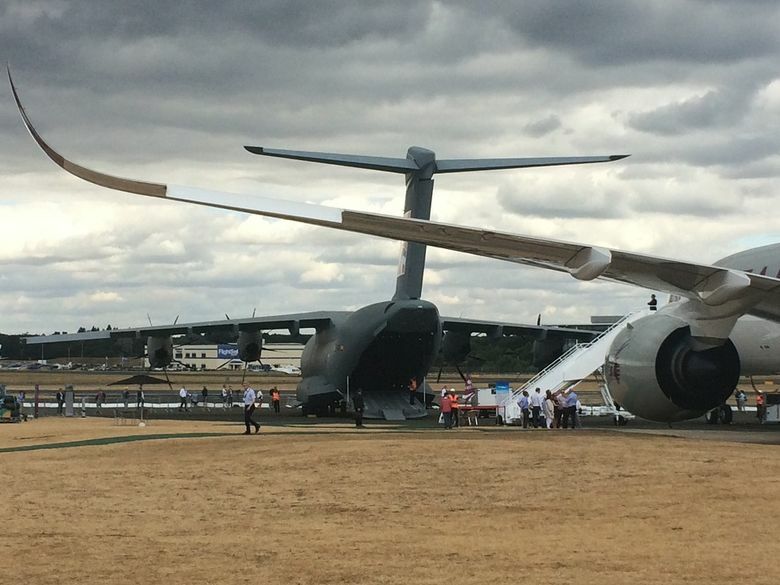 Goodbye from Farnborough.